high quality automotive glass to almost the entire passenger car industry in India. It has the unique distinction of being the only glass player in the South India which have all facilities to manufacture all types of automotive glass including car segment. Laminated Glass withstands penetration by impact, even if the glass cracks, splinters will stick to the interlayer and not scatter. It also helps prevent injuries from falling glass. : Solar Energy Performance - The interlayer impedes the transmission of solar heat and reduces air conditioning cost. Madras Glass And Aluminium Products..
Glass is the leading supplier of high quality automotive glass to almost the entire passenger car industry in India. It has the unique distinction of being the only glass player in the South India which have all facilities to manufacture all types of automotive glass including car segment. Toughened Glass or Tempered Glass has increased strength and is widely used for its safety as it usually shatters into small fragments in the event of an impact. It is usually installed in areas where safety glass is required to lessen the possibility of mechanical or thermal breakage and or to assure greater uniform load strength. 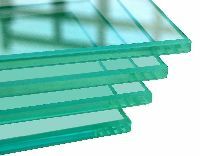 Toughened glass or Tempered Glass / Toughened Glass is a type of glass that has increased strength and will usually shatter into small fragments when broken.